New motorhomes for sale in the North East at our Darlington motorhome dealership include 2019 Bailey motorhomes, Swift motorhomes and Hymer motorhomes. Plus, for the 2019 season, we will also be stocking new Compass Kensington motorhomes and campervans, exclusive to Kimberley! 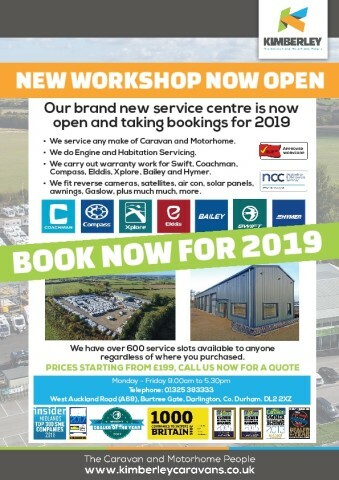 We are excited to reveal our new 2019 stock; visit our Darlington branch to view all of our new motorhomes for sale in the North East. As a trusted new motorhome dealer, we stock new motorhomes to suit a wide range of budgets and lifestyles, from cosy two berth van conversions to high-class family sized motorhomes. There are plenty of innovative features packed into each new motorhome, helping to make your stay in it stress free and enjoyable. We are confident that you will find the perfect new motorhome at our Darlington branch, conveniently located adjacent to the A1 and A68. We have great road links to the North East all the way up to Scotland, giving you endless opportunities to get out and enjoy your new motorhome after visiting our motorhome dealership. We are also easily commutable from across the North East, providing easy access to new motorhomes from cities such as Durham, Newcastle-Upon-Tyne, Sunderland and Middlesbrough. No matter where you are visiting us from, we hope we will see you soon at our Darlington motorhome dealership. 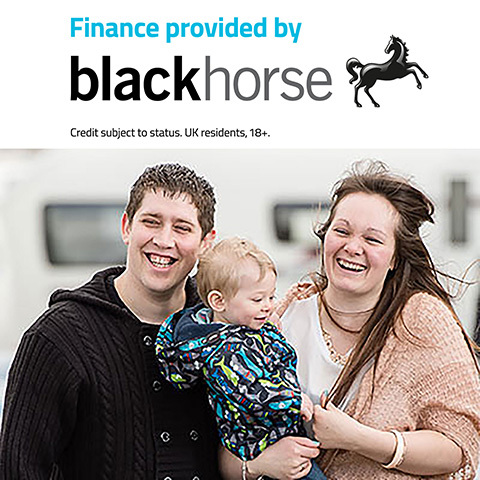 You can enquire about any of our motorhomes for sale either by phone or by using our handy online form – a member of our team will be happy to assist. All prices are 'On the Road' and include 20% VAT, the cost of delivery for the base vehicle, PDI, number plates, 12 months road tax and half a tank of fuel. For 2019, Bailey are keeping the Bailey Autograph and Bailey Advance ranges, but as always these have been updated for the new season with new features. A fantastic all-round motorhome brand, Bailey motorhomes not only offer up-to-date interiors, but are also practical and adaptable to all road surfaces. Take a look at all Bailey motorhomes in stock at our Darlington branch here. For 2019, Kimberley is proud to offer a whole new range of exclusive campervans and motorhomes - the Compass Kensington motorhome. Based on the Compass Avantgarde, these new Compass motorhomes combine many years of experience, craftsmanship and knowledge of the most up-to-date technology to bring you this inspirational range. With practical specification and an affordable price tag, these exclusive new motorhomes are sure to be popular amongst a wide range of people. Only available exclusively from Kimberley, the Compass Kensington motorhomes will be on show at our Nottingham and Darlington branches, easily commutable from across the country from Leicester to Scotland. Be sure not to miss out on this brand-new range for 2019! The Hymer motorhome range includes: A-Class motorhomes, panel vans, and semi-integrated motorhomes with the Hymer Van, Hymer Exsis-I, Hymer Exsis-T, Hymer ML-T and many more Hymer motorhomes. Hymer have included the same great quality for their 2018 motorhomes as they do every year, providing you with the ability to enjoy your holiday to the fullest. No matter which Hymer Motorhome model you choose, you can enjoy the luxury interiors and the lightweight performance provided by Hymer. Take a look at the new Hymer motorhomes available at Kimberley today. Swift are keeping three of their successful 2018 motorhome ranges for the 2019 motorhomes season. A favourite amongst spontaneous travellers, the Swift Select is a compact van conversion that can sleep up to four people. Swift Bessacarr is also staying for the 2019 season, with distinctive exterior graphics, a black metallic cab and an unparalleled interior. Last but certainly not least, the best-selling Swift Escape is the ideal first time motorhome. Browse our range of 2019 Swift motorhomes here.